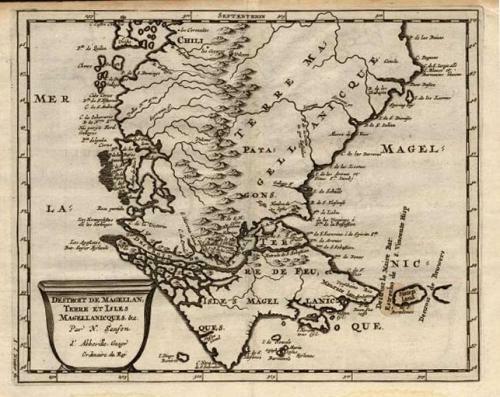 An attractive small copper engraved map of the tip of South America with Tierra del Feugo and Le Maire Strait. Title in simple cartouche. Engraved by D' Winter.